From 1978 to 1980, Dottie West and Kenny Rogers had a duet partnership. In 1980, they went their separate ways. What Are We Doin’ in Love was their third and final number one on the country chart. What Are We Doin’ In Love hit #14 on the Hot 100, #7 on the Adult Contemporary chart and hit #3 on Canada’s country and #9 on Canada’s Adult Contemporary charts. If you can’t find Rogers’ name on What Are We Doin’ In Love, Rogers had uncredited vocals. A Sound of Thunder was a 2005 science fiction thriller movie flop. A Sound of Thunder was based on Ray Bradbury’s short story of the same name. “Time tourists” accidentally interfere too much with the past which completely alters the present. A Sound of Thunder starred Edward Burns, Catherine McCormack and Ben Kingsley. A Sound of Thunder was originally announced in 2001. It was to be directed by Renny Harlin and star Pierce Brosnan. Bradbury fired Harlin after a dispute and Brosnan moved on too. During post-production, Franchise Pictures went bankrupt. The remaining backers only ponied up $30 million instead of the $80 million they were supposed to have. This led to shoddy special effects (as well as terrible performances and scientific errors) that tanked this film. 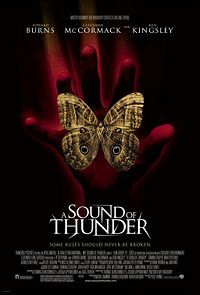 A Sound of Thunder grossed just under $2 million in the U.S. and over $11.5 million worldwide. First released on a 10″ format, Black Coffee was Peggy Lee’s debut album. Lee had been recording professionally since joining the Benny Goodman Orchestra in 1941, but only singles on 78s or 45s had been released. In 1956, at the request of her label, Lee re-issued the album, with four more songs for a 12″ LP record. Though Black Coffee failed to hit the charts, Lee had a jazz/pop music singing/songwriting/composing and acting career that spanned six decades. Lee died at age 81 from complications from diabetes in January 2002.
this new style. Also known as bullet bras, these undergarments remained popular into the mid-1960s. They were so popular in the 40s and 50s that a lot of dresses had bust “darts” in the “wrong” place — this was to accommodate the conical bra most women were wearing. (If you can find one of these dresses, get yourself a conical bra and check out the difference. The misplaced darts will make sense.) Conical bras don’t look great under tight fitting clothing. Conical bras received a bit of a resurgence in the late 1980s thanks to fashion chameleon Madonna, who sported such a bra in her video for Open Your Heart and while on tour. Today, conical bras have come back into fashion thanks to the AMC show, Mad Men, a show set in the 1960s. Kenneth Max Copeland had a top 40 hit in 1957, Pledge of Love. It peaked at #17. In November 1962, Copeland converted to Christianity and became one of the leaders of the Charismatic Movement and, yes, is the Kenneth Copeland of the Kenneth Copeland Ministries (KCM). KCM advocates daily application of the Word of God (the Bible). 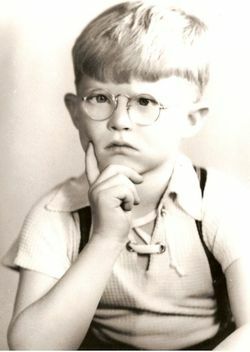 William Robert “Billy” Laughlin was born in San Gabriel, California and starred as Froggy in the Our Gang short films of the early 1940s. Froggy had a strange, guttural voice (that sounded like a frog’s croak) that Laughlin produced without dubbing. According to his Our Gang costars, Laughlin was a dearly loved, sweet, gentle soul. When Our Gang wrapped in 1944, Laughlin appeared in the 1944 romcom Johnny Doesn’t Live Here Any More. By this time at age 12, Laughlin moved away from show business to have a “normal” teen life. On August 31, 1948, Laughlin and a friend were delivering newspapers near Laughlin’s La Puente, California home. A speeding truck hit their scooter. Laughlin’s friend, John Wilbrand received minor injuries while Laughlin died at the hospital. He was only 16 years old. Edna is a spoiled Beverly Hills 13-year-old. She’s wreaking havoc at school. Her therapist suggests medication. Instead, her parents send her to spend the summer in the Mojave desert with her grandparents. How can a modern, spoiled brat survive without a cell, TV and internet? Edna in the Desert was written by author Maddy Lederman. She has an MFA in Theater from Brooklyn College. She works in the art department for films and TV shows. She has worked on The Americans, Madam Secretary, Noah and The Amazing Spiderman 2. 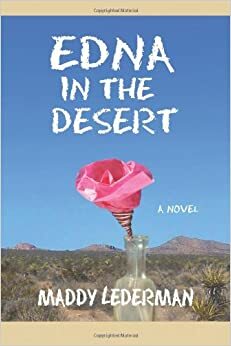 Edna in the Desert is Lederman’s debut novel. Like dropping Mentos into a Diet Coke, dropping a Wintergreen Life Saver into soda produces similar results. That’s not what went wrong here. 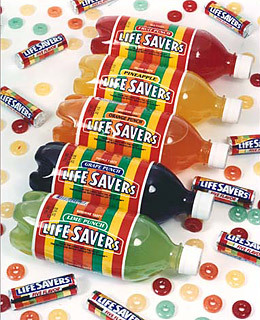 In initial taste tests in the 1980s, Life Savers Soda did well. It went into stores and the problem was it didn’t explode. This soda would have been like drinking liquid candy. Not a bad thing. It just didn’t take off. Life Savers put their focus back into the original candy. This Canadian TV series aired on the CBC for 10 years from 1983 to 1993 and was one of two music programs that played popular music videos. These two shows (the other was Video Hits) were the only options for Canadian viewers to see music videos outside of having cable TV. Good Rockin Tonite was similar to NBC’s Friday Night Videos. Good Rockin Tonite featured interviews with popular musicians, had viewer contests and a Top 20 countdown of the week’s most popular singles across the country. 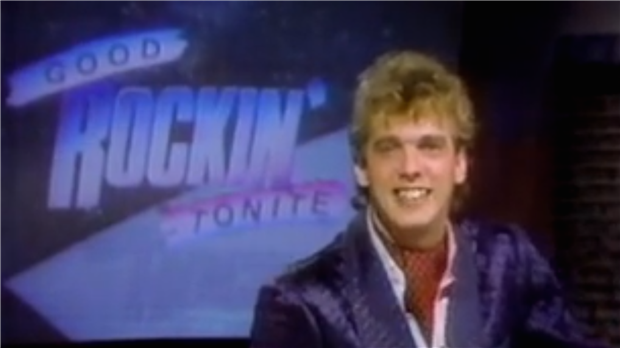 Good Rockin Tonite was originally hosted by Terry David Mulligan. He hosted from 1983 to 1985 when Mulligan left to join Canadian cable music channel MuchMusic. Stu Jeffries took over the hosting duties until “GRT” was cancelled in 1993. When Jeffries first got the job as host, he was the program director at Regina, Saskatchewan’s CJME radio station. GRT was filmed in Vancouver. For a little while, Jeffries did both jobs before moving to Vancouver permanently to focus on GRT.